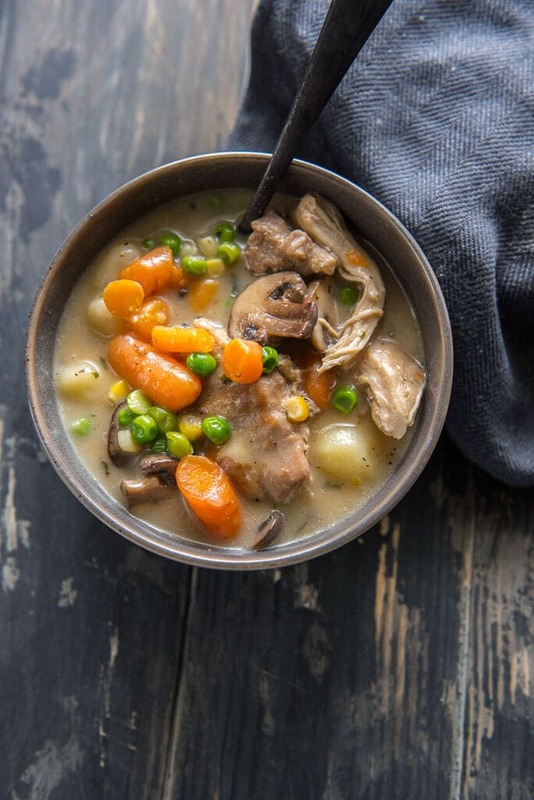 When a recipe like Slow Cooker Chicken and Dumplings is not only hugely popular but also hugely delicious then it’s also deserving of a new version that makes it super fast in the pressure cooker! These Instant Pot Chicken and Dumplings taste just like the ones you know and love but come together for a quick dinner in no time! On those days where you need to get dinner on the table and don’t have a lot of time, the Instant Pot can some in very handy. I always like to add the disclaimer that pressure cooking is not always “instant” as may be implied, but it still can be a great way to get a hands off dinner on the table like you would with the slow cooker, but obviously much faster. Just make sure you factor in time for the pot to come to pressure and release pressure, so 45-60 minutes is usually a reasonable estimation for a “quick” dinner. 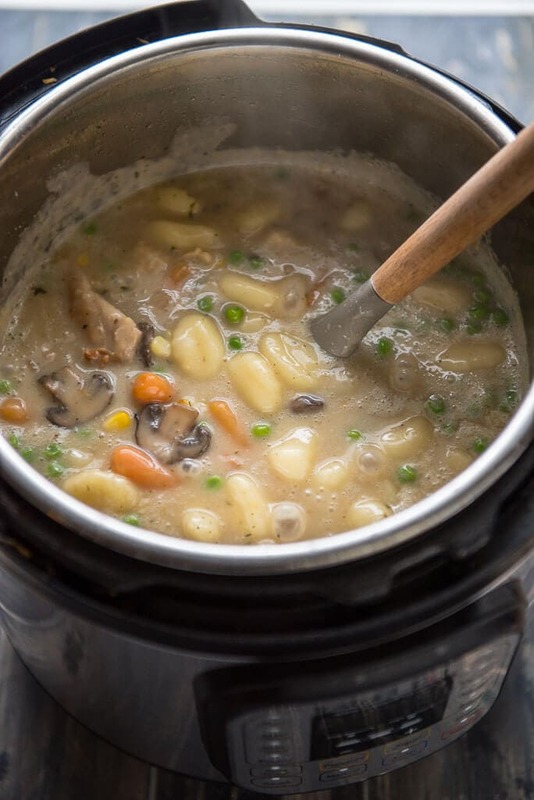 The actual cook time on these Instant Pot Chicken and Dumplings is about 12 minutes on high pressure, then you will also need to allow a natural pressure release of 10-15 minutes plus about 5 minutes to simmer and thicken. Add that to the 15 minutes or so it takes to bring the pot to pressure and you’ve got a dinner that takes a little under an hour and is mostly hands-off, so I’d call that a win. Especially considering the alternative would be to run to a drive-through, and that wouldn’t be nearly as delicious as this homemade meal you can enjoy around the table with your family. 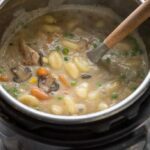 When I first started trying to convert some of my slow cooker recipes to the Instant Pot, I learned a few lessons the hard way. What is the difference between a slow cooker and a pressure cooker? do you want your food “fast” or slow? We already talked about what fast really means, but once you understand the time involved, I still love how pressure cookers offer the same hands off prep of slow cooking. reduce the amount of liquid when pressure cooking. Since it’s all sealed up, it won’t lose that moisture, so take that into account when making soups, etc. But for most recipes, you will need to ensure the pressure cooker has at least 1 cup of liquid to function and cook properly. wait to thicken. I will often add my cornstarch or flour slurry to the slow cooker and let it thicken as it cooks. But with the Instant Pot, you have to wait. Adding it to cooking is a disaster, ask me how I know. Fortunately, with the sauté function, you can quickly add it at the end and not lose out on much convenience. How do you make chicken and dumplings thick? You can use flour or cornstarch as the easiest way to thicken the dumplings. I use chicken broth to add flavor to the sauce, but it’s obviously thin. Using one of these at the end in the pressure cooker will mean only minutes to a thick and hearty broth. Once your chicken and veggies are done and you’ve allowed the pressure to release and removed the lid you can switch the pot to sauté. When making your thickener, be sure to whisk with a small amount of water until smooth then add into simmering liquid in pot. This will ensure you don’t end up with any lumps. 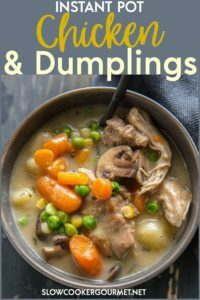 When a recipe like Slow Cooker Chicken and Dumplings is not only hugely popular but also hugely delicious then it's also deserving of a new version that makes it super fast in the pressure cooker! 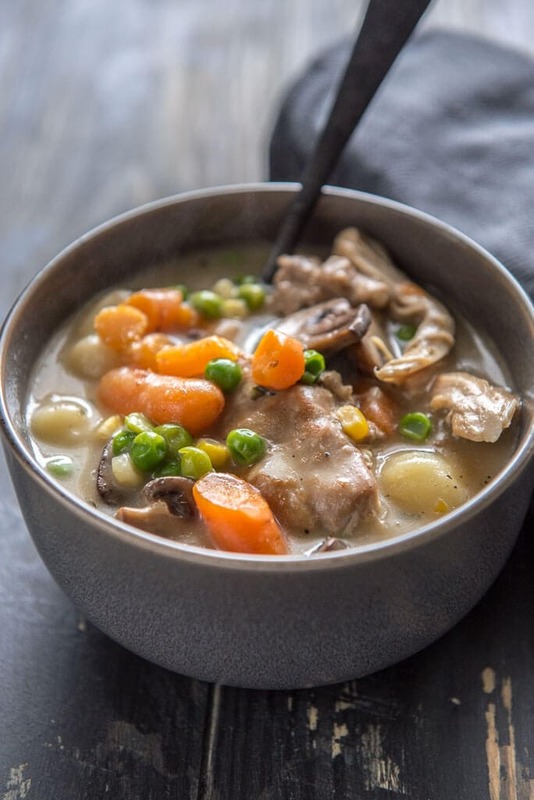 These Instant Pot Chicken and Dumplings taste just like the ones you know and love but come together for a quick dinner in no time! Never thought of using gnocchi for the dumplings, what a great idea! !